For most college and university admissions officers, reviewing a prospective student’s application is like putting together the pieces of a puzzle. From good grades, to success in athletics and extracurricular activities, to impressive recommendations, there are a number of factors that fit together to create a snapshot of achievement and suitability to a particular institution. But one piece that virtually all schools consider closely is a good score on the SAT or ACT. While the best way to ensure top performance is to master the subject matter that is being tested, there are a number of steps that can help your child prepare for these important exams. By the eighth or ninth grade, most students have the opportunity to sign up for courses that may be more challenging than the common curriculum. Research has shown that students who take these courses tend to score higher on the SAT and ACT than those who take a less challenging course load. Students should pay particular attention to courses that build on fundamental mathematics and verbal skills, since success in these subjects tends to have a more direct connection to success on these exams. Strong reading comprehension skills are imperative for doing well on the SAT and ACT, both for the reading section and for word problems in the mathematics section. As any English teacher will tell you, the best way to improve your vocabulary is not to study the dictionary—but to read as extensively as you can. If your child has encountered problems reading, it’s very important to get extra help to build skills during the earlier grades if possible. The PSAT (Preliminary SAT) is usually offered in the 10th and 11th grades. Preparing for and taking the PSAT is a smart move for several reasons. also used to qualify students for a number of scholarship programs. In 10th grade the PLAN is used to prepare students for the ACT. It helps students become familiar with the question types asked on the ACT and sharpen his or her test-taking skills. The PLAN also helps students determine if they are on track for college, points out academic strengths and areas needing improvement, and helps match careers with areas of interest. Students may want to take both the SAT and the ACT in order to increase their flexibility in applying to college. Most colleges accept scores from either test. Many students take the SAT and ACT at least once during the spring of their junior year, and then again in the fall of their senior year. School guidance counselors can usually provide information about times and locations for the exams or look on-line at www.collegeboard.org for the SAT and www.act.org for the ACT. In the short term, there is no ‘quick fix’ for scoring well on any of these tests, which is why you need to make solid academic progress in the years leading up to taking them. But there are many different books, tapes, computer programs, and courses offered by supplemental education providers that can help you prepare. Many courses teach both study skills and test-taking skills. The best courses are those taught by certified instructors with special expertise in preparing students for those exams. Huntington is the tutoring solution for high school students who want to maximize scores on the SAT and ACT. A personalized one-to-one tutoring program is designed around a student’s strengths and weaknesses. The Premier Program begins with a complete assessment using a full-length SAT or ACT. Results and personalized recommendations determine the duration and schedule of tutoring, and are discussed during an initial parent conference. Tutoring covers each of the exam’s key areas with additional emphasis on areas of weakness. Several full-length exams are administered throughout the process. The 28-hour Program starts with a shortened exam or past results from which a personalized program is developed to cover key sections of the selected exam. The 10-hour Program is similar to the 28-hour Program but with a focus on a single exam section. 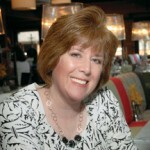 Maggie Lage is the Executive Director of the Huntington Learning Center in Newark, 34 Liberty Plaza,Kirkwood Hwy. Newark, DE 19711. I just wanted to let you know that Courtney was offered a full tuition scholarship to Arcadia University. They told her that her ACT score was what really put her over the top…I know Courtney deserves the majority of the credit for all her hard work and dedication throughout her school career, and the extra effort she made this summer to take Huntington’s prep course and do additional homework over her break, but I really want to thank the teachers who worked with her and you, specifically, for suggesting she take the ACTS. I hadn’t ever considered that test, and no one at her school mentioned it either.